Ocean Man First Nation Chief Connie Big Eagle says a member of the band, who has worked in the oil industry most of his adult life, had been smelling a strange odour for approximately a week. An oil spill was discovered on Friday, the provincial government announced yesterday. The chief of the Ocean Man First Nation in Saskatchewan, Connie Big Eagle, says an oil spill on the band's land must have occurred earlier than Friday, when the Ministry of Environment said it became aware of it. Big Eagle said a vigilant band member who has been working in the oil industry most of his adult life had reported smelling a strange odour and decided to look for the source. Big Eagle said she was told that the person smelled the odour each time he drove by the area of the spill. "They said that that smell was going on for about a week," Big Eagle said. "It concerned him so he went looking for it." A government spokesperson was unaware of that information. "All I can say is that every spill is investigated, so those facts will be known once the review is complete," the spokesperson responded in an email. The spill occurred in a low-lying area with a slough, which is where it was contained by the shape of the basin, Big Eagle said. An old well site sits nearby, but is no longer active, she added. Approximately 200,000 litres of oil spilled last week, covering about a 20-metre radius. As of Monday, 170,000 litres had been cleaned up by Calgary-based Tundra Energy Marketing. The spill is almost the size of the Husky Energy pipeline leak that spewed into the North Saskatchewan River last July. Ocean Man is located approximately 140 kilometres southeast of Regina. Big Eagle said the Ocean Man First Nation's main concerns are the community, the land and the environment. "Right now, we're just being co-operative with all these organizations, because we don't want it to get any worse than it is," she said. "We're not trying to minimize the situation, but we don't want it sensationalized or exaggerated or blown out of proportion." There are no residences nearby, but the site was near a band cemetery, which is considered sacred land, Big Eagle said. The chief said the pipelines might be decades old, and that they pre-date Ocean Man's re-establishment in 1990. The band was relocated to its current location in the late 1980s. The extent of the spill became apparent to Big Eagle on Saturday morning, and she revisited the site on Monday. "It had black snow on top of the slough. Because of the snow on top of it, it looked like a smaller area than now that the snow is removed. It looks wider, the contamination," she said, describing the site as a mixture of mud, oil and water. Big Eagle said someone from Tundra told her a plane flew over the area on Tuesday, but no spill was detected at the time. "I don't know how they didn't see it," she said. There are trees near the slough, but nothing covering an aerial view, she said. The company had yet to respond to a request for comment from CBC News as of Monday night. There are multiple pipelines in the area operated by at least three companies. It is not yet known which company operates the pipeline responsible for the leak. 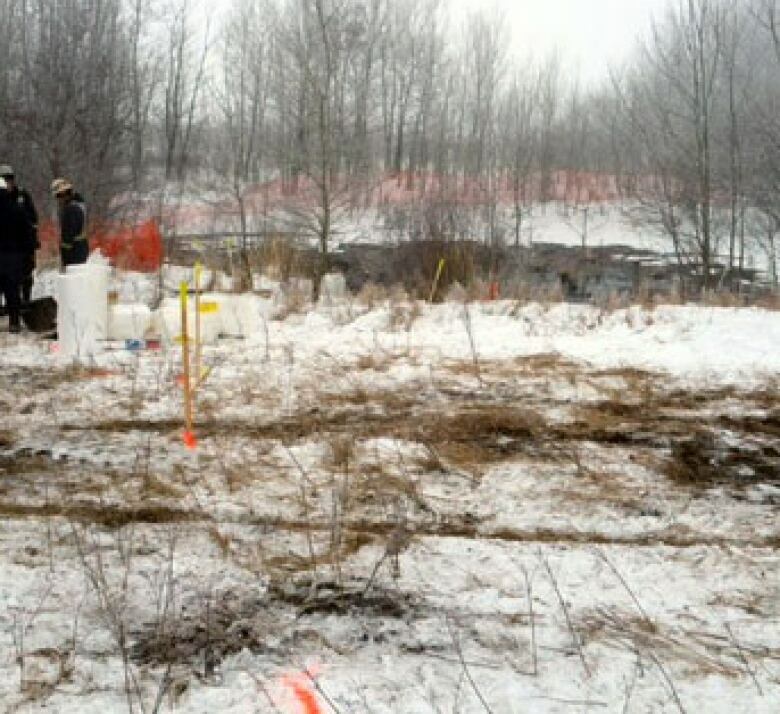 Work to contain the spill began as soon as it was discovered, Tundra said. Potential compensation has not yet been discussed nor have the long-term effects the spill may have on the land, Big Eagle said. "We are making sure everyone who is supposed to be involved is involved," Big Eagle said. Refinery planned for Stoughton, Sask. 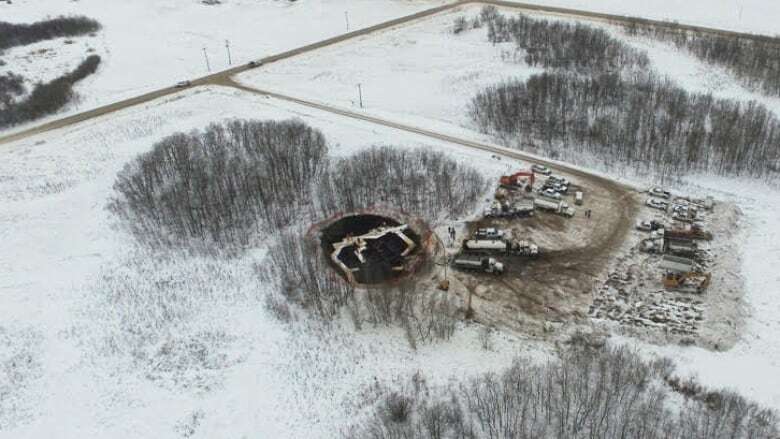 Cleanup still underway at Husky oil spill site in Sask.